Neither my friend nor I can get our ample proportions into a bucket seat that fits the roadster . 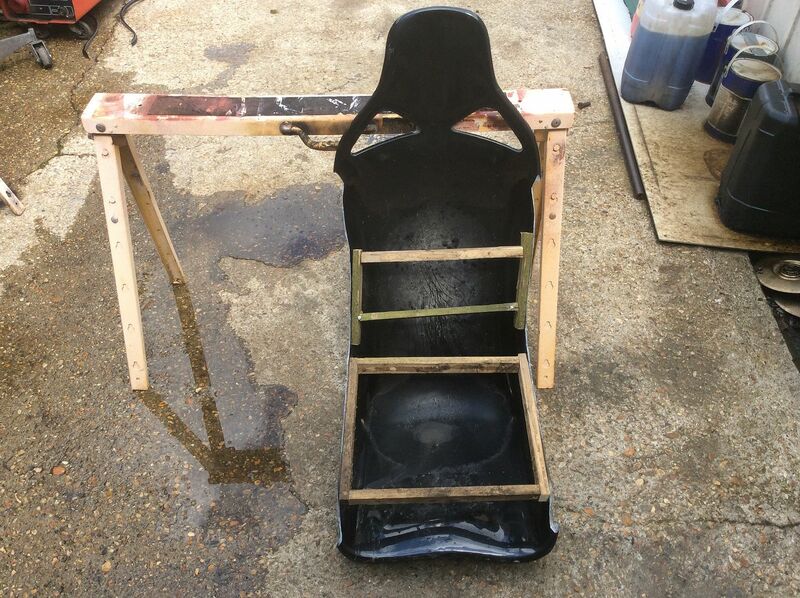 Dave from Equinox has kindly given us a seat to stretch so he can mold off it and make some for us , if sucessful which I am sure they will be he will be keeping the mold and they will be available from him. Already managed to wedge them out approx 50mm and there is still plenty of room in the chassis for more. Just need to brace up the mold now and have a trial sit in it. If all is well we will put the outside return lip back on and get it prepped for molding.